Sweet and petite, this tiny treasure is the perfect reminder that whomever you decide to gift this ring to (yourself included) is true gem. 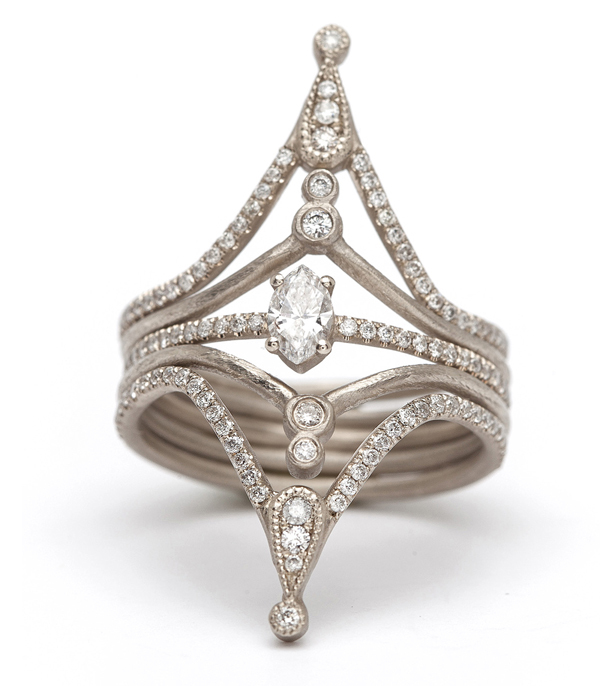 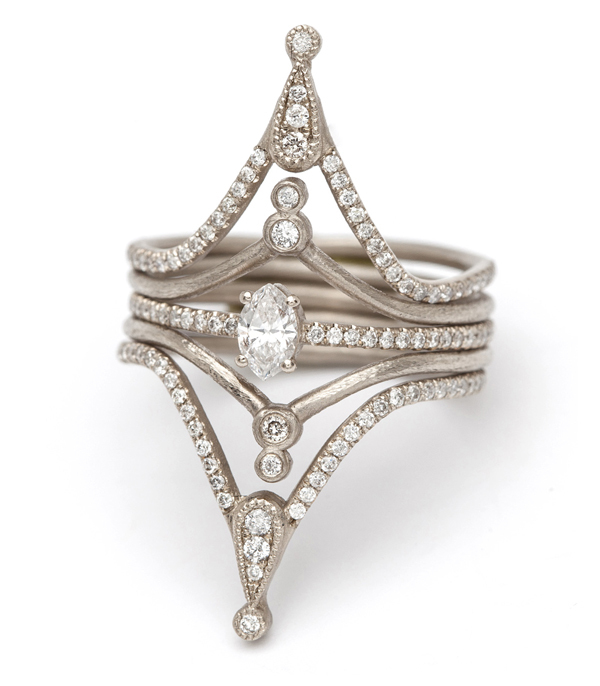 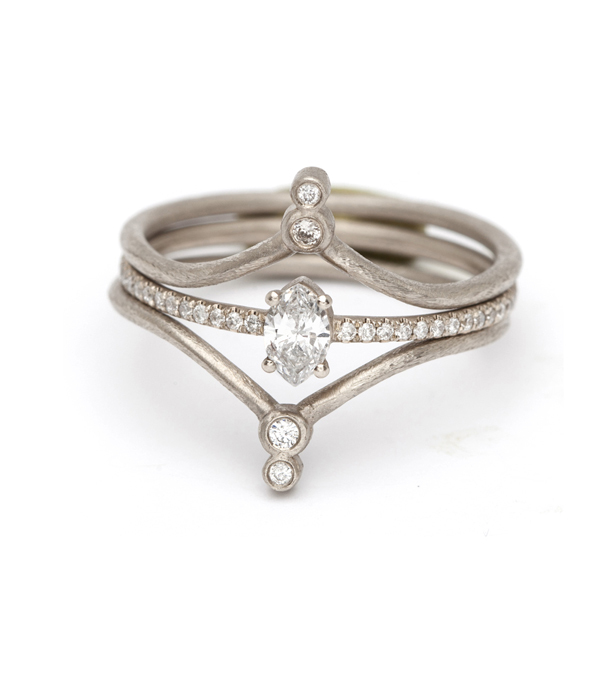 Set on a delicate band this leaf-shaped diamond makes an adorable stacking ring or even engagement ring for a minimalist bride. 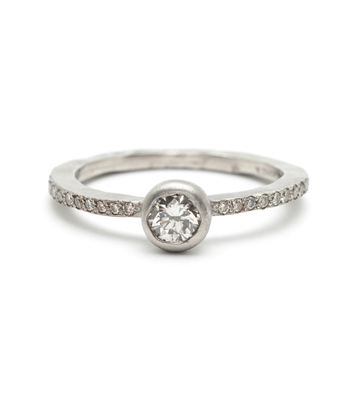 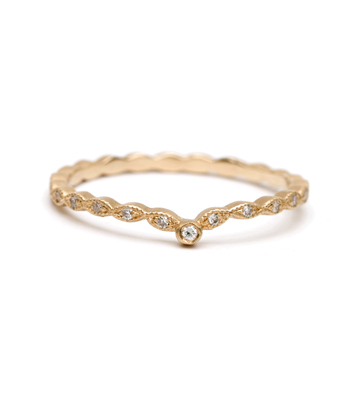 The pave diamonds on either side of the center stone add a tiny bit of icing, yet this ring remains understated enough to wear with jeans and your favorite T-shirt, or wear it as the centerpiece to your favorite Sofia Kaman stack. 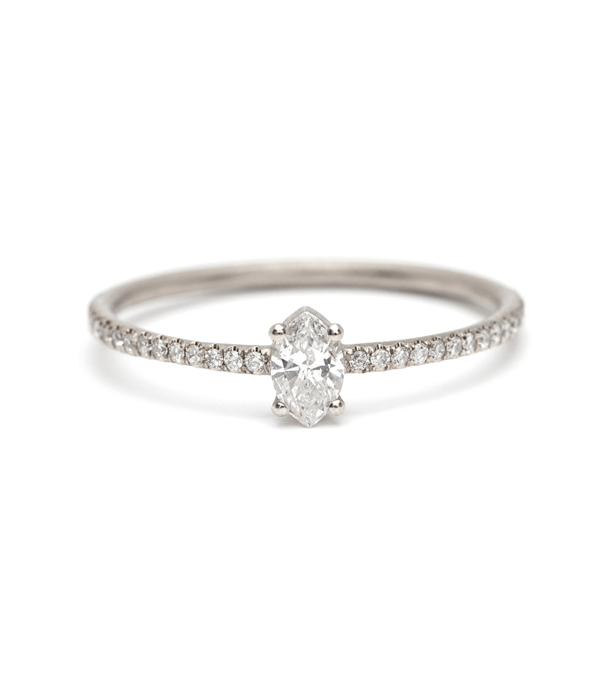 Classic and modern, this tiny marquis solitaire set on a diamond band catches and bounces light and adds a glimmer of sparkle to every ensemble. 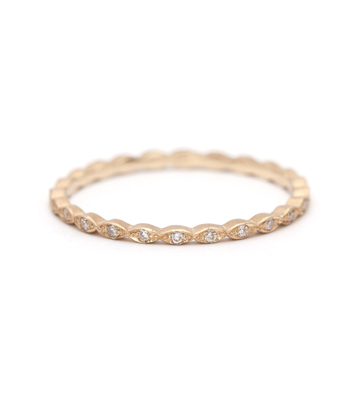 This 14K sold gold diamond stacking ring features a 0.32ctw of diamonds and is handcrafted by our artisan jewelers in Los Angeles. 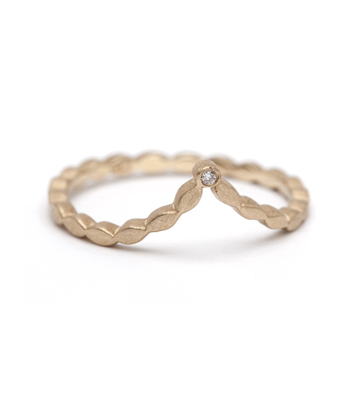 Categories: Alethea, Rings, Stacking Rings.